The team and patients at Huntercombe Hospital Maidenhead supported the Young Mind’s Hello Yellow campaign for World Mental Health Day on 10 October. When the team spoke to the young people about the campaign, they were really keen to get involved and wanted to wear something yellow to help raise awareness. 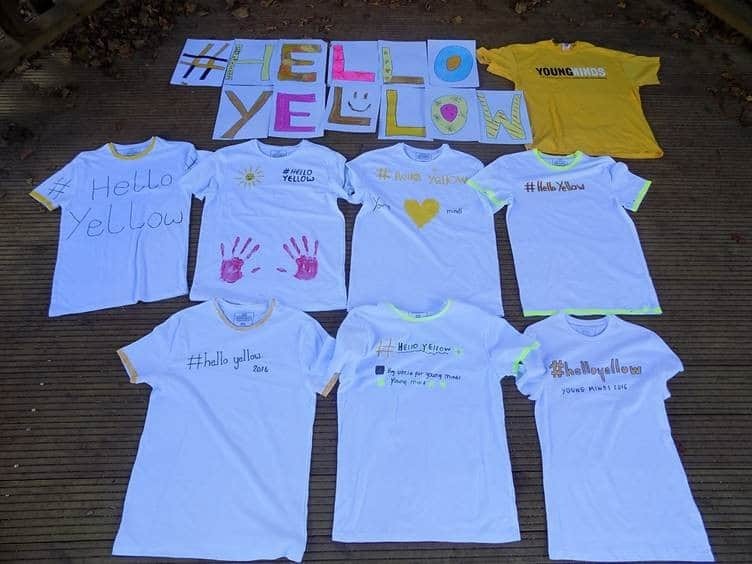 The young people created t-shirts and a banner for the #HelloYellow campaign and took pictures of them.